As Publication Day Approaches, Jen Gilroy Talks About Her Transition From Writer To Working Author. This week I am thrilled to bits to welcome my dear friend Jen Gilroy to my blog. I am so proud of Jen, whose debut romance novel, The Cottage at Firefly Lake, the first of the Firefly Lake trilogy, is going to be published on January 31st by Grand Central Publishing, Forever. When Jen appeared on my blog a few weeks ago, she talked about writing a book in incrememts of 250 words a day while looking after her family and working at the day job, and that mention of 250 words struck a chord with lots of other writers, who left comments here and on Twitter. Today Jen is going to share more details of her writing life, including how it has changed now that she is about to be a published author. Welcome, Jen! Thank you so much for visiting my blog today. Thank you, Susanna. I’m happy to be here again. I enjoy your blog very much, and it’s been a big part of my writing journey. Let's go back to the beginning. How did you start writing? Were you a child writer? I’ve written for as long as I can remember. I have vivid memories of making up stories for my dolls and, once I learned my letters, it was natural to write some of those stories down. When I was seven or eight, I wrote my first poem and had one of those life-changing moments when I realised the power of words in expressing how I saw the world and my place in it. Once I left school, however, ‘real’ life intervened. Although I kept journals and wrote fiction sporadically, I only started writing seriously towards publication in 2009. Life losses and some significant birthdays made me realise that time is finite, and I needed to have a proper go at making my dream of writing a book a reality. You are Canadian but you lived in the UK for a long time and you were living in England while you wrote The Cottage at Firefly Lake. Did setting your novel on the other side of the Atlantic make you feel closer to home? Did you consider an English setting? Although I’m Canadian by birth, I consider England my second home. However, when I started writing, and despite my fondness for digestive biscuits, cream teas and Victoria sponge cake, it soon became clear that I have a distinctly North American writing voice. When I tried to write English characters and settings, my prose was wooden and the dialogue forced. Can you recall the very first idea from which the book emerged? A photo, something you read or saw, or a character popping into your head, perhaps? The heroine of The Cottage at Firefly Lake is Charlotte (Charlie) Gibbs, a globetrotting foreign correspondent. She popped into my head, named and almost fully formed, mid-Atlantic during a long-haul flight. Journalism is one of my career paths not taken, and I’d been reading a newspaper article about the experiences of women foreign correspondents in the Middle East. Perhaps because I was also at a point of questioning my life’s path, or perhaps because it was the middle of the night, 35,000 feet up in the air, but I started to wonder ‘what if?’ From that point, Charlie’s character and story evolved. The Cottage at Firefly Lake is the first of a trilogy. How did the trilogy develop? Was it always going to be three books or did your original idea just grow and grow? When I started writing The Cottage at Firefly Lake, it was a single, standalone book. As often happens, though, I became attached to both the setting and characters. In particular, the heroine’s sister became very real to me and (ever so politely!) demanded her own story. 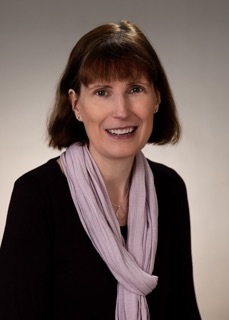 And when I signed with my agent (Dawn Dowdle, Blue Ridge Literary Agency), she asked for a series proposal as that was what the publishers she intended to query were looking for. Hence, the Firefly Lake trilogy was born. The book has been given such an attractive, atmospheric cover. Did you have any input into it? I’m so glad you like the cover. My editor asked me for some general thoughts about cover design but apart from that, the cover was designed by Forever’s art director. I often say the cover fairies have blessed me because the design captures the feel of my book perfectly. I’d like to sit in that chair with a book myself and, as my husband has pointed out, the cosy red throw is a particularly inspired touch since I’m always chilly! When you visited my blog previously to share your personal writing rules, you described writing your novel in chunks of 250 words per day. How has your writing life changed since then? When I’m writing a first draft, I still set word count targets, but now I’m a full-time author those targets are bigger, around 1,500 to 2,000 words a day. However, the biggest change in my writing life since becoming a contracted author has been learning how to juggle multiple books, at different stages, at the same time. Pre-publication, I worked on one book a year for submission to the Romantic Novelists’ Association (RNA) New Writers’ Scheme. In retrospect, and although I didn’t believe it then, it was a fairly leisured writing life. Now, I’m preparing for the launch of The Cottage at Firefly Lake, will soon be working on edits to its sequel (Summer on Firefly Lake, July 2017) and am also finishing the draft of the third book in the trilogy (Back Home at Firefly Lake, March 2018). Presumably you became a romance writer because you are a romance reader. Who are your favourite authors? Which non-romance styles do you like to read? I’ve been an avid romance reader since senior school, and my all-time favourite romance novel and comfort read is L.M. Montgomery’s The Blue Castle. Contemporary romance and women’s fiction authors on my ‘must-read list’ include Kristan Higgins, Jill Shalvis, RaeAnne Thayne and Susan Wiggs. I also enjoy reading historical fiction, cookbooks and stories set in Ireland. A recent favourite is Felicity Hayes-McCoy’s The House on an Irish Hillside. As publication day approaches, how are you feeling? Like a protective mum, I’m somewhat anxious about sending characters I’ve lived with in my head for so long out into the world. However, when the crows of doubt circle, I draw on the support of family and friends and hold fast to the certainty that in both life and writing, I’m finally exactly where I need to be. I’m realising a long-held dream, and one that when I was knee-deep in rejections I sometimes doubted would ever come true. Jen, thank you so much for being here today and answering my questions. It’s been my pleasure, Susanna. Wishing you and all your blog readers happy writing and much success in 2017 and beyond. Thank you, Carol, for your generous comment. For such a successful and popular writer as yourself to take the time to share your thoughts and offer Jen your support means a lot. Well done, Jen. Such a great tip for writers at all stages of development;250 words a day - a reachable goal and makes perfect sense. Good luck on your launch. 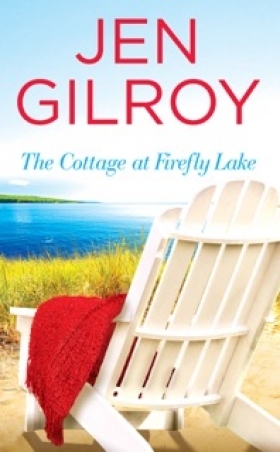 I'm sure The Cottage at Firefly Lake, the first of your fab romance trilogy, is going to be a winner. And thank you too, Susanna, for this delightful (and exciting) blog with Jen! Hi, Julie. Lovely of you to drop by and leave your good wishes for Jen. Her story is an inspiration, isn't it? I hope to welcome you back to my blog in the next few weeks. See you then. How lovely to 'see' you here, Lally. Thanks so much for your kind words and good wishes. I appreciate you reading the post and commenting. Thank you for your kind message to Jen, Lally. I'm sure she will be delighted to hear from you. Lovely blog post, thank you Jen for sharing your writing journey and may I wish you every success with The Cottage at Firefly Lake. Thanks for dropping by, Kate. You and Jen seem to have various shared experiences in common, making it seem like a very small world. I'm so pleased you like the sound of one another books. Thanks so much, Kate (Hewitt). I appreciate you sharing your expatriate experience. Very interesting. Even though I'm now back in Canada, I suspect I'll always to some extent feel that I'm in a somewhat mid-Atlantic space. I've just visited your website and your blog post of 12 January certainly resonated with me. Not only did I live in England for a long time, but my daughter was born and spent the first twelve years of her life there. I also appreciate your kind words and good wishes about my book. I'm surprised we haven't connected previously as your books also sound very much like books I like to read! Off to Amazon... I also note you went to college in Vermont. My Firefly Lake trilogy is set in Vermont's Northeast Kingdom! Arlene, what a lovely message to leave for Jen. I'm sure she will be delighted by your kind words. It must be strange for any writer, that feeling when your work, which you have lived and breathed on your own for so long, is sent into the outside and suddenly other people have a stake in it. Like you, I wish Jen every success. Kate, I agree with you. Jen's tagline is so good. And yes, I imagine that major events in life give many people the push to write more seriously. Thanks for sharing your thoughts. What a sweet interview! I can totally relate, Jen, to the protective mum! Hard to let our darlings go. But they must fly on their own wings, and you've done a marvelous job preparing them for flight! Lots of luck for a tremendous release. Thanks so much, Kate. I suspect life events have given many hobby writers that same 'push.' I know for me that such experiences, although painful, also gave new depth and emotion to my writing. Thank you for your kind words and good wishes, Jan. I'm glad you enjoyed the interview. Susanna is always a lovely interviewer and it's my pleasure to guest on her blog. Jan, how lovely to hear from you. I'm glad you enjoyed the interview. Jen has given such full and interesting answers. She was a delight to interview.